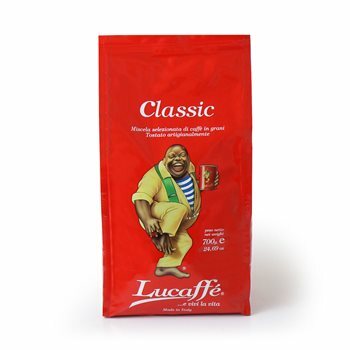 This quality is recommended for people who love coffee for its best features: it is a blend of excellent Arabica coffees with a tiny addition of top quality Robustas. Mild flavour, smooth and generous body, with medium to dense crema, excellent aroma. After drinking it, besides feeling better you will have the satisfaction of having drunk a top quality coffee. Excellent quality coffee beans, tried lots of others and keep coming back to this one as it suits our taste.